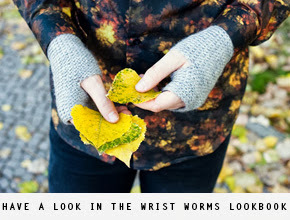 My shop is open again, loaded with 101 pairs of Wrist Worms to prepare for Fall. September is my favourite month of the year and it's only two weeks until we're there again. The Wrist Worms got themselves a brand new website today, welcome! i've got myself a new dress ( it's been a very long while ) with the perfect colors and ready for fall to come. i'm so very admire of your guts to move on and begin new starts like these, so so so refreshing. makes me wanna do something new as well ! Congratulations on the new site(s)! i love that "back to school feeling" even though its been 10 years since i've been at school now, i love preparing for fall and thinking about whats going to change over the next few months, i think i might treat myself to some new boots this winter! jipii, hooray for good things! 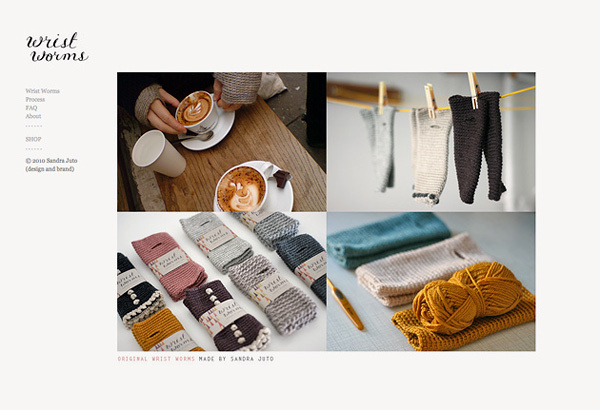 i'm sorry about your old blog too, it was so beautiful! a new leaf is good though, i must say. I am sorry about your blog. That hurts in a big way. I am happy follower of your work. A new home. A new beginning. Here's to a fresh and sparkling start! September is my favourite month too. I've loved reading your blog for some time now. You're work is beautiful and your photography is stunning. Sometimes it's nice to be encouraged! I hope you enjoy September. You're really making an amazing job!